To be a yoga teacher is not an easy task but if we have the commitment to be a yoga teacher, we can be a good yoga teacher in our life. At first, we should make our passion to be a yoga teacher in our life. Good yoga teachers are a guide, friend and parents as well for the yoga students in total. The yoga teachers should know every aspect of yoga. Yoga teachers should love yoga deeply. We can be a good yoga teacher when we learn yoga teachers training course from a certified yoga centre. We have to know about many aspects of yoga before being a yoga teacher. Yoga teachers are a guide of the yoga students in the class. He must understand the theoretical and practical aspects of yoga. He should know the philosophy of yoga. Nepal Yoga Home is certified and authentic yoga centre where you can learn yoga teachers training course to be a yoga teacher. Nepal yoga home gives the classes of 200 hrs and 500 yoga teachers training courses of the Indian and American alliance. Yoga teachers must be an example of yogic life. He should have the qualities which should be in a yogi. He should be positive and energetic from inside and outside. There are different kinds of yoga in the world such as Ashtanga, Anusara, Hatha, Vinyasa, Shivananda and Bikram yoga. They are different in ways of doing. You should consider that which is you prefer to teach. You should think about your capacity to do yoga while choosing the yoga style. You should choose the best yoga Guru or yoga centre who can guide you to be a yoga teacher. Guru or yoga centre can lead you in every step to become a good yoga teacher. Then, you should join in yoga teachers training course. You should learn yoga deeply being sincere in the class. You should take the courses which are verified by the yoga alliance of 200 and 500 hours. You should learn about human anatomy, physiology, instructional method and style very carefully. You can get the chance to observe the teaching very closely. Yoga teachers are the person who gives the classes of yoga and enables the students to do yoga themselves. Yoga teachers guides the yoga students and instructs them for some period of time. The teacher teaches about the yogic lifestyle and yogic way of living. Yoga philosophy is another part of the teaching. Philosophy is a very important aspect of yoga. Without knowing yoga philosophy, one cannot be a yoga teacher. Yoga teachers are the role model for the yoga students because students follow everything what teacher does and behaves. Yoga teachers are the centre figure of every centre which teaches yoga. He should have the overall knowledge about yoga. A yoga teacher should have the capacity to handle every question from the students. It is the responsibility of the yoga teachers to satisfy the students in the class. To be a yoga teacher, one should be smart to know the psychology of the students. He should ask the students the purpose of doing yoga and lead them with their purpose in the yoga session. 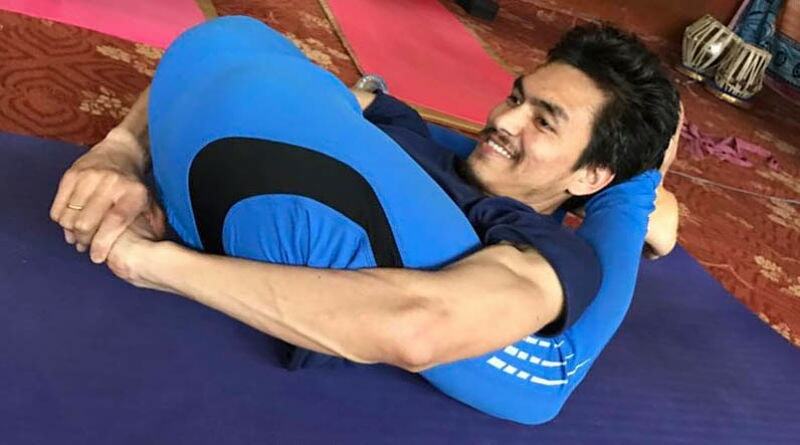 He should be the inspiration for students to continue yoga in their daily life. Everyone has different qualities in yoga. Some likes Hatha yoga, some likes Raja yoga. Some like Karma yoga and some likes Bhakti yoga. The teacher should understand the quality of the students in doing yoga and motivate to follow one special path in their life. The teacher should balance among the types of doing yoga. A good yoga teacher should love yoga as his or her passion. They should respect yoga by their heart. They should love life and inspire to love life to their students. A good yoga teacher should balance himself physically, mentally and spiritually. A yoga teacher should focus on loving the self as well as every creature of the earth. A good yoga teacher should always prepare for the class. He should plan for the class. He should make a design for his whole class. He should create a good environment in the class. He should manage the class on his way to teach perfectly. A good yoga teacher should be egoless in the class. He should leave his ego outside of the class and enter into the class. The ego creates the distance between teacher and students. The teacher should share his knowledge openly with the students. A teacher should be close to the student so that students never feel hesitant to ask the question with the teacher. The teacher should facilitate the students to learn yoga being playful. A yoga teacher should create the humorous environment in the class so that the teaching and learning process becomes playful in the class. He should smile in the class. He should express his knowledge in a funny way sometimes. He should laugh in between of the class to make the class alive. A good yoga teacher should present himself in an energetic way to add the trust of the students to him. The spiritual energy should enter into the class with the presence of the teacher. The presence of the teacher should be the inspiration to the students. He should be the factor of motivation to do yoga. A good yoga teacher gains the trust of his students for him. This is the great quality of a good yoga teacher. If the students respect and trust the yoga teachers, yoga teachers can be successful to express his knowledge without hesitation and the students also follow the path of the teacher in a respectful way. Good yoga teachers should equally emphasize to every one of the class. He should care for every student how they are doing yoga. He should guide the special student who is not doing well. He should adjust the poses of the students in the class. Good yoga teachers should be flexible in every part of the teaching. He should not be so strict in the class. He should have the flexible body too. He should bring flexibility in the class if some problem arises in the class.